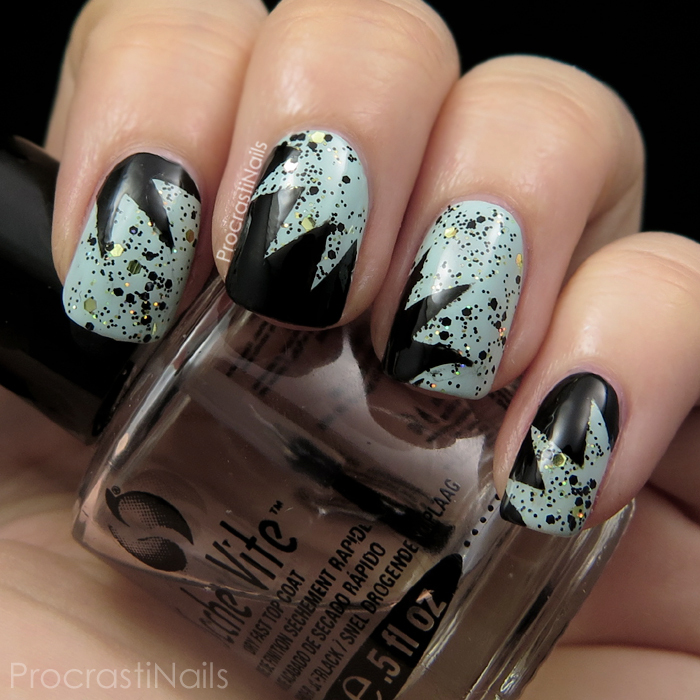 This was actually my first time using vinyls, believe it or not! I'm still pleased with this colour combo and every time I see Julep Beatrix (the glitter topper) I'm reminded how much I like it! Gotta use it more often! This is still an all-time favourite for me, and I think it was my most popular post on tumblr ever. 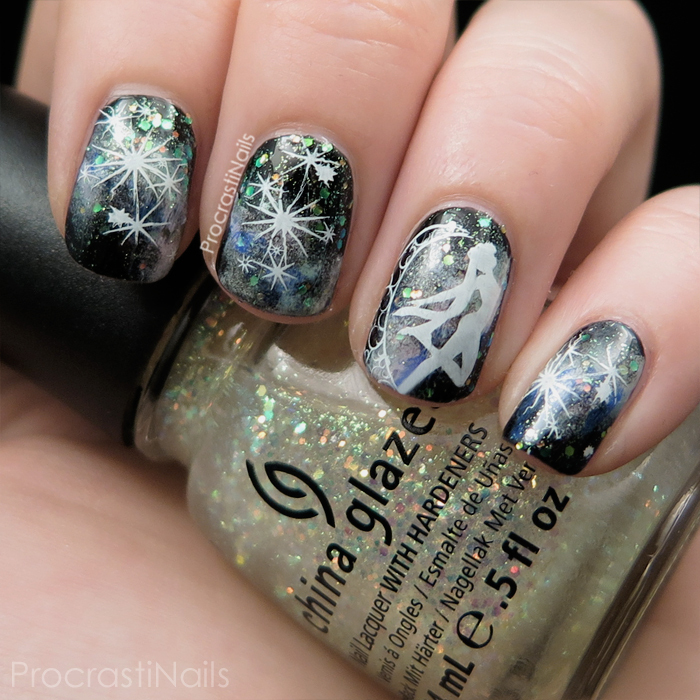 The galaxy design + stamping with the addition of Sailor Moon is a winning combination fo sho! 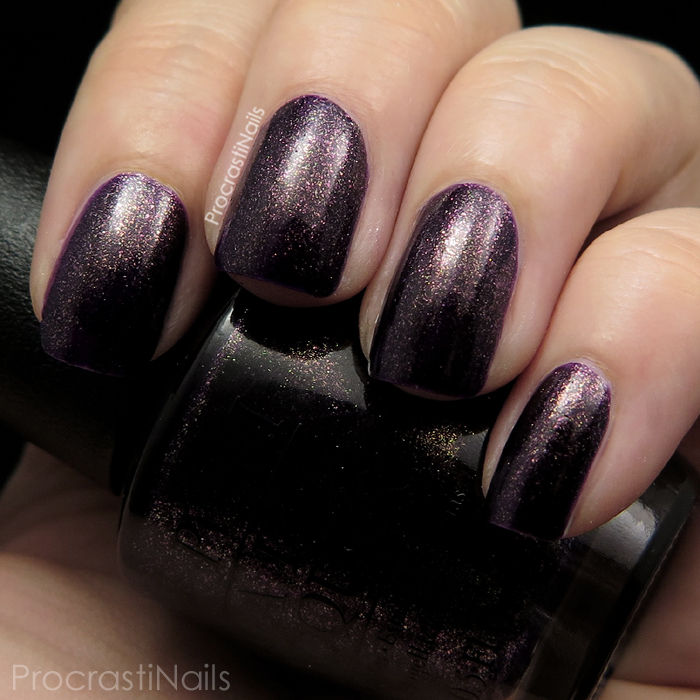 I think this is going to be the perfect vampy shade to pull out for fall this year, I don't think I've used it since these swatches so I'll have to fix that! 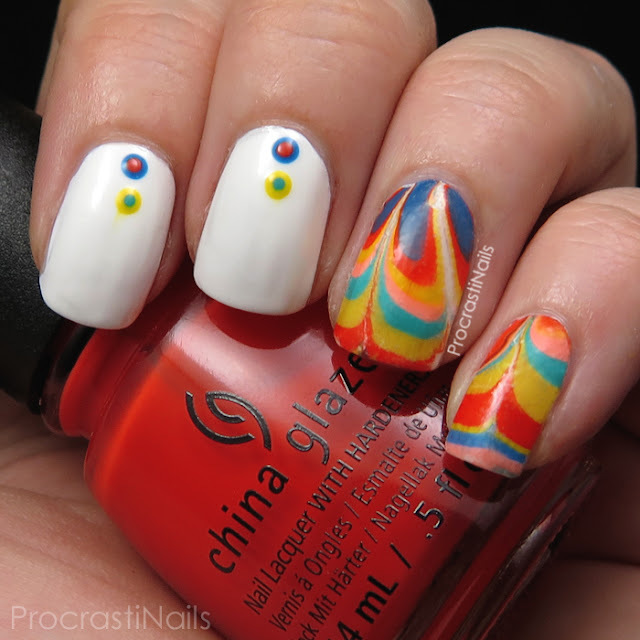 Another one that I feel I did really great with! I love love love the polishes I chose to put this together, and I like how the design complements the anchors without being too traditionally nautical. :) Definite win! Let me know what you think, and I'd love to hear which is your favourite! 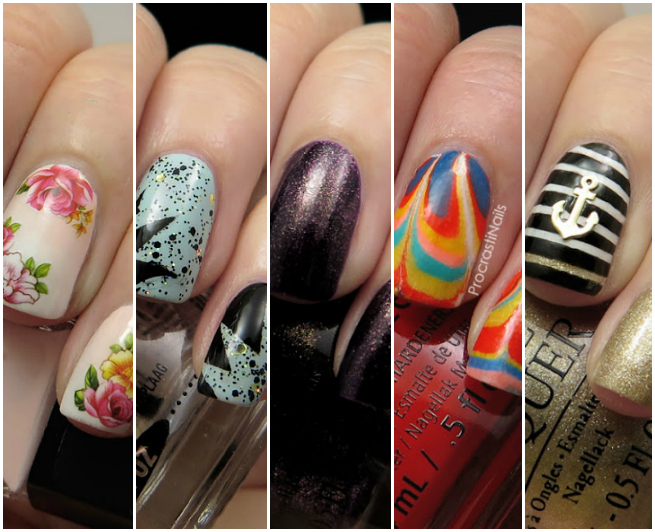 It always so fun to look back at some of the manicures you created. 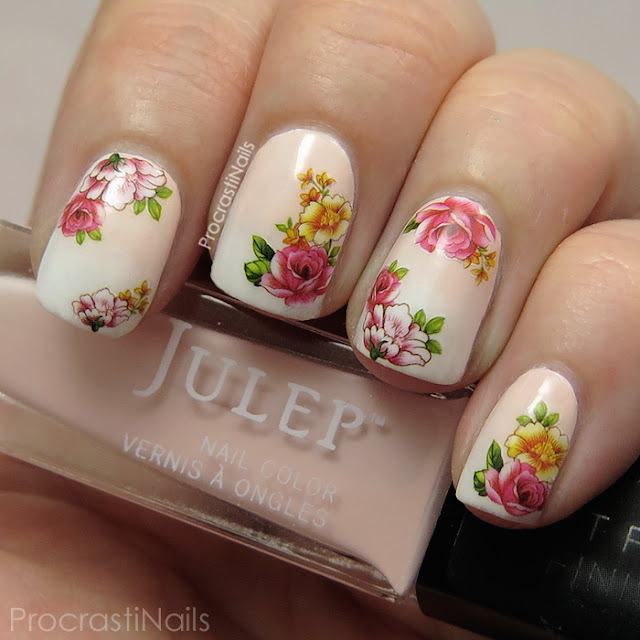 You wore some amazing manis lately! I think the galaxy one is my favorite. 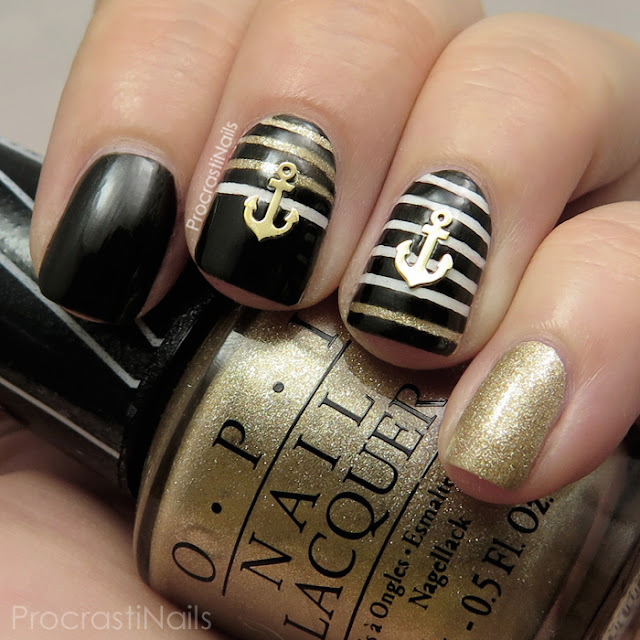 Love the dry brush and anchor manis! That dry-brushed look was really really pretty. 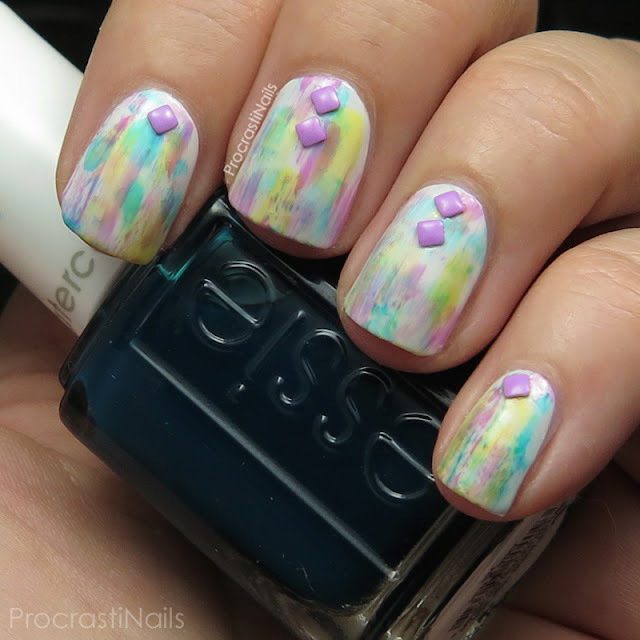 I love all of these but I especially love the essie dry brush!